Never seem to have a charging cable around when you need one? Now you can juice your iPhone, iPad, or iPod from pretty much anywhere with a 3 pack of 6.5-Ft Apple MFi-Certified Lightning Cables, offered at half off the retail price for readers of Pocketnow. Leave one at home, keep one in the car, and take one to the office. 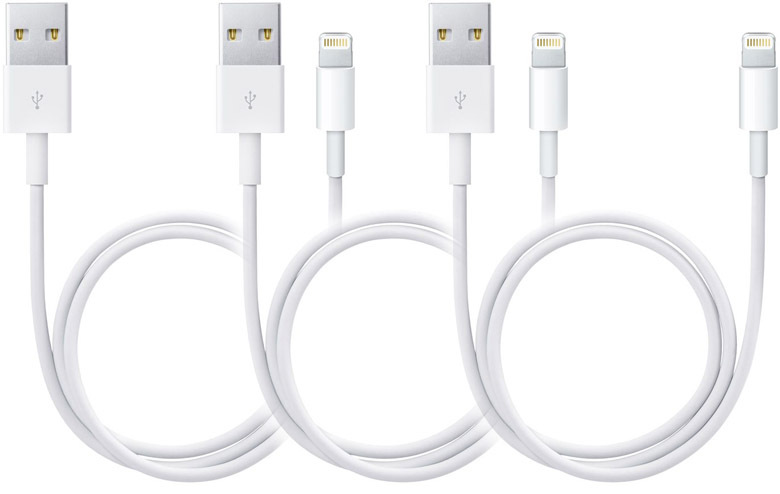 With the 3-pack of 6.5-Ft Apple MFi-Certified Lightning Cables, you’ll always have a cable at your disposal. This package is the perfect solution for those who forget to carry their cables with them or who are forever losing or damaging them. These cables are high quality. Each one has been certified by Apple so there’s no risk that they’ll damage your devices, and they’re extra long too, so you can comfortably use your device even while it’s charging. Plus, you get three of them for one low price so the value in the deal is pretty awesome. For a limited time, get three 6.5-Ft Apple MFi-Certified Lightning Cables for just $21.99 with free US shipping at the Pocketnow Deals Store. Pocketnow brings you awesome deals every week. Whether software or hardware, accessories or other gear, we're trying to offer the best deals you can find out there.